Sit down into the sleigh and signal the reindeer – and hold on! Now you get to see how Laplanders used to move around before snowmobiles arrived to the northern wilderness. Driving a reindeer sleigh through the wintery forest is an experience that seldom comes around in one’s life! What does a reindeer eat in the fells in wintertime? What does a reindeer’s muzzle feel like? How does a reindeer survive outside in -45 degrees centigrade? It is time to find out! 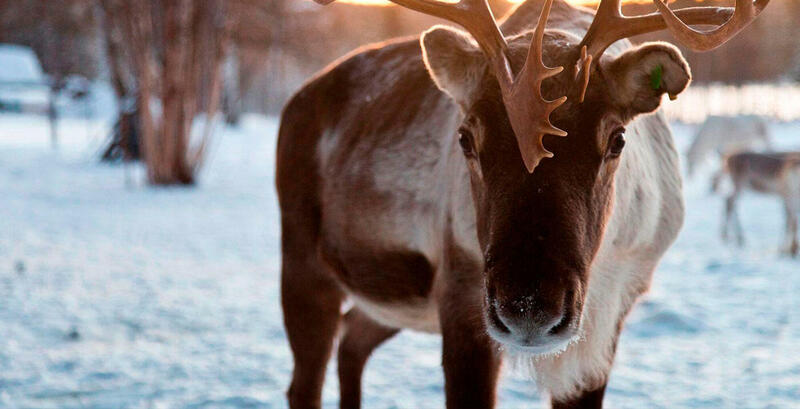 Thoroughly explore the Northern Lights Village’s reindeer paddock. 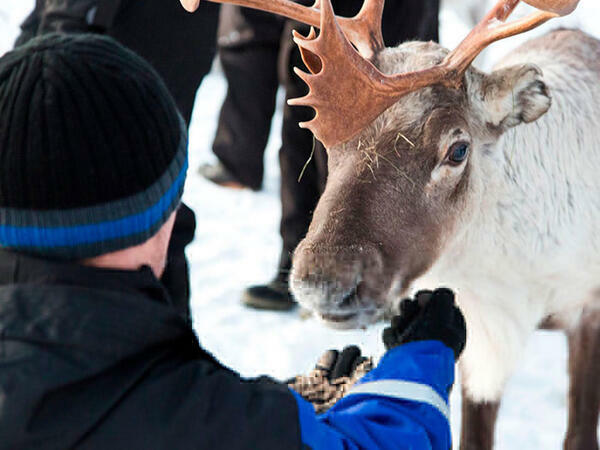 You get to meet with a reindeer breeder who will inform you about the reindeer and the Sámi. 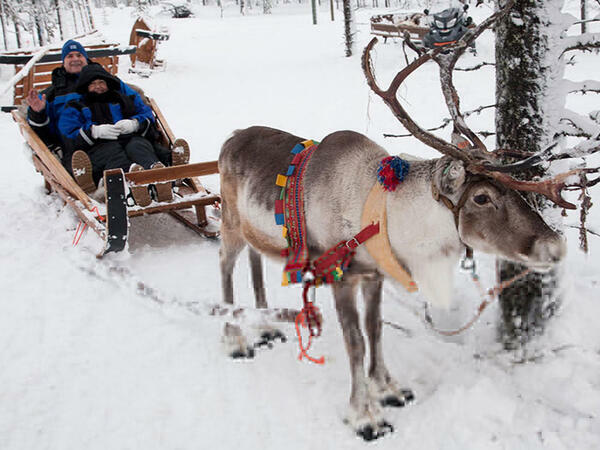 And, of course, you also get to pet and feed the reindeer and drive a reindeer sleigh through the snowy forest.